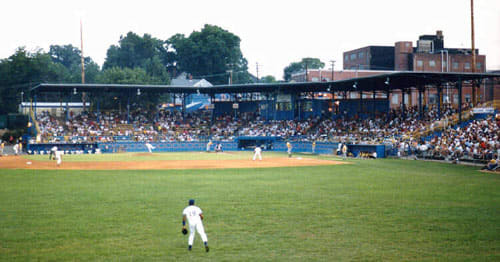 The DAP is the former home of the Durham Bulls and also where they shot the flick Bull Durham (clever name!). While there's no current team that plays its games exclusively at the DAP, the park has hosted 116 games during the past year, featuring everyone from the Bulls and local colleges like Duke and N.C. Central to high school and American Legion tilts. The place oozes history, and it's refreshing to remember that it's not always about giant concrete and steel behemoths and money. Sometimes you just need a little park with some character and some friends (and some beer! ).